Faced with hundreds of lawsuits and a deep need for experts, BP has been offering some Gulf Coast scientists lucrative consulting contracts that bar them from releasing their findings on the company's massive oil spill for three years. Some scientists say the contracts constrain academic freedom. A few signed the agreements, then changed their minds. And others argue BP's contract is standard, and with little federal funding available to study the spill's impact, Gulf Coast researchers have few other options. "I personally wouldn't care to have my research limited, but if I wanted to do work on the spill and this was the only way I could get out there and get working on it, I don't think there's a lot of alternatives," said Chris D'Elia, dean of the Louisiana State University School of the Coast and Environment. BP confirms hiring more than a dozen scientists who have Gulf Coast expertise to assist with hundreds of lawsuits and assess the environmental damage caused by the spill. 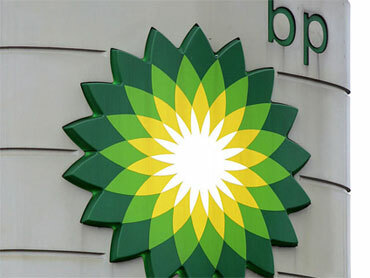 "What we have asked is that they treat information from BP's lawyers as confidential, as is customary," said David Nicholas, a BP spokesman in London. "But we do not take the position that environmental data is confidential and we do not place restrictions on academics speaking about scientific data." Still, American Association of University Professors President Cary Nelson said the three-year limitation could suppress information key to restoring the environment. "Many scientists are turning down these contracts because they feel this research needs to be shared with the public, it needs to be shared with the government," said Nelson, whose group represents about 48,000 academics. Researchers are asked to sign similar contracts with the National Oceanic and Atmospheric Administration, the federal agency charged with tracking the oil and assessing the damage. Also in the mix is a hesitance to be associated with the company that's responsible for around 184 million gallons of oil spilling into the Gulf of Mexico. "Setting aside any good intentions, the idea of being affiliated with BP was not a good thing," said Joe Griffitt, a scientist at the Gulf Coast Research Marine Lab at the University of Southern Mississippi, who initially signed a deal with BP, then changed his mind. In the end, each side will try to get as many experts on their team as possible, removing knowledge from the public domain, said Mark Davis, director of the Institute on Water Resources Law and Policy at Tulane Law School in New Orleans. "That's not wrong. Those are the rules of the game," he said. "It's the survival of a company, the survival of a crucial industry is at stake in a vital market area. This is serious business." Ask CBS News: Will Storms Undo Work on Oil Well?